Carbon fibre is a strong, lightweight material which is being used more and more in modelling wherever strength and low weight ar required. For example, the tubes can be used for control surface pushrods, multicopter arms, wing spars or yacht masts. 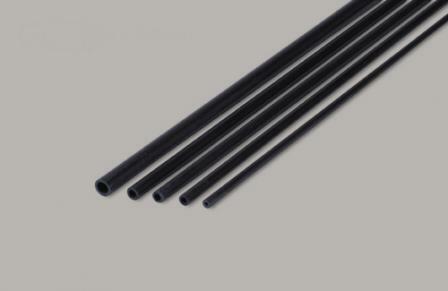 We supply both Pultruded and roll-wrapped carbon fibre tubes. Due to the way of production is different, so is the cost. The roll-wrapped tube is much more expensive. The wrapped tube is usually chosen for higher specifications demands.